From casual post-surf beach shacks to cool celebrity chef-run restaurants, if you love nothing better than a fish feast fresh from the ocean, you’ll be spoilt for choice in the South West. This part of the world is blessed with miles of stunning coastline that isn’t just holiday eye candy, but home to hundreds of thriving fishing communities landing their catches daily so you can enjoy your seafood at its best. Tucking into the fruits of the sea is a long-standing holiday tradition. Whether you’re partial to a bowl of steaming mussels, aphrodisiac oysters, mouthwatering crab, nutritious mackerel, fancy turbot fillets, or traditional fish and chips – catch of the day in these parts comes fresh off the boats, bursting with flavour. Cool, contemporary restaurant perched on a hillside with stunning views of the harbour and Jurassic coastline beyond. Run by celebrity chef, Mark Hix, who takes pride in sourcing the very best fresh local produce, served as simply as possible. Popular, unpretentious beach-hut style cafe in a relaxed setting overlooking the beach, with a daily changing menu to reflect the local fishermen’s catch. It’s never not busy here, so you’re likely to need to wait for a table, but the dishes are reliably delicious, so it will be time well-spent. Award-winning, two-level restaurant set in a stunning waterside position in the popular market town of Bridport, specialising in locally caught fish straight from the sea, served simply. Elegant yet cosy bistro with an open kitchen and inviting atmosphere set on the waterside in Dartmouth. Roasted fish fresh off the day boats, prepared skilfully and simply over a charcoal fire for the perfect seafood experience. 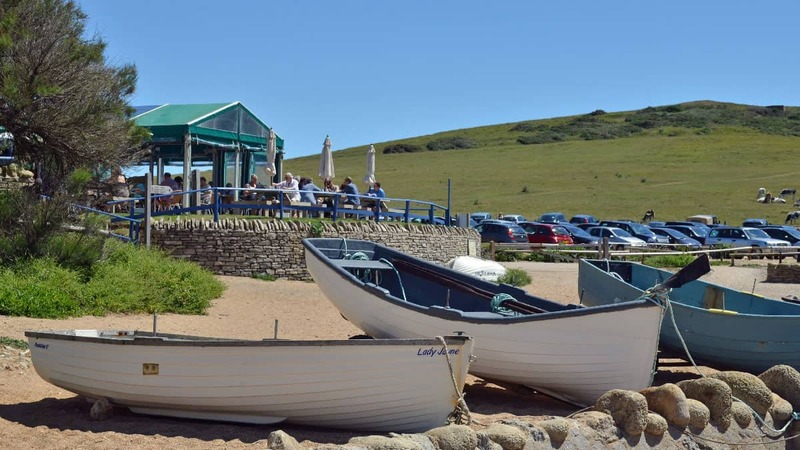 Beach shack-style café serving local seafood dishes simply yet perfectly, in the traditional fishing village of Beesands. BYO alcohol, friendly service and exceptionally flavoursome fish overlooking the sea it just came from. Award-winning rustic hut specialising in al fresco seafood feasts in summer and cosy fish dinners in winter. 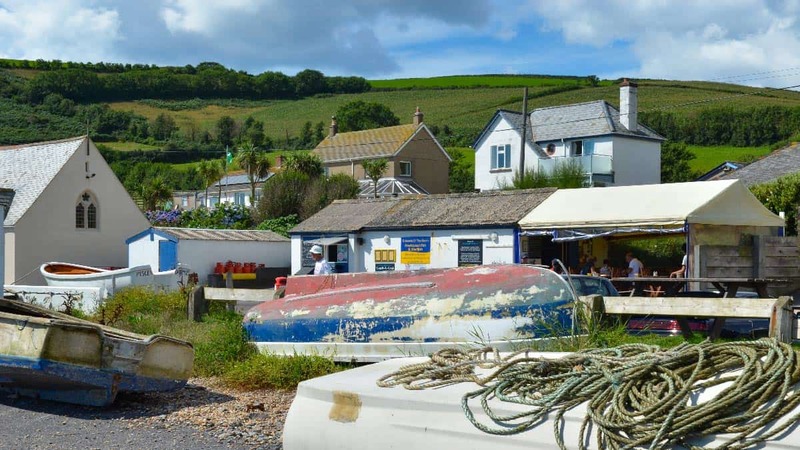 Serving a delicious array of locally caught oysters, lobster, crab, fish and seafood – just off the pretty tidal road that skirts along the stunning Avon Estuary, close to Bigbury. Riverside cafe set on the banks of the picturesque river Dart in the beautiful village of Dittisham, specialising in a daily-changing menu of locally caught seafood, crabs, lobsters, mussels and oysters, with panoramic views from both the outside terrace and indoor restaurant. Situated at the top of Port Isaac overlooking the rugged Cornish coastline, this intimate boutique restaurant serves an exquisite tasting menu of sustainable seafood caught locally in small boats off the Cornish coast. 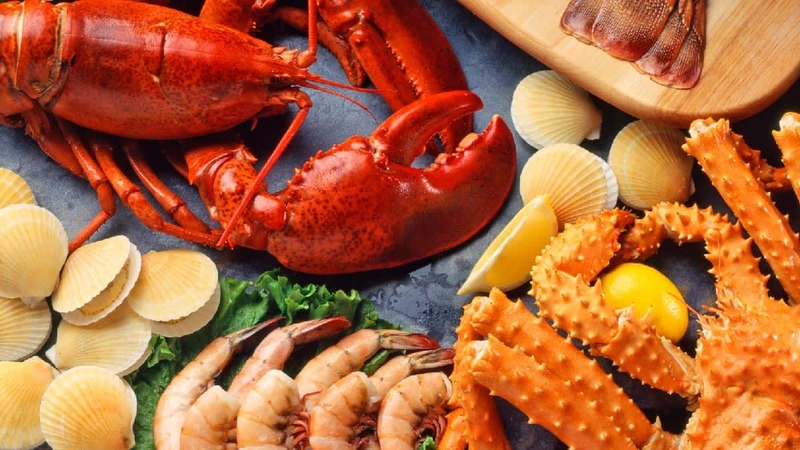 Famous, vibrant quayside seafood restaurant serving the very freshest local catch, prepared simply using classic flavours and Rick Stein’s famous recipes. Book in advance to avoid disappointment. One of the oldest buildings in Looe, this former quayside warehouse has transformed to one of the top eating spots in this fishing town, specialising in steaks and freshly landed fish straight from the quay. Now your mouth is watering, why not book a holiday cottage near one of these exceptional seafood restaurants? 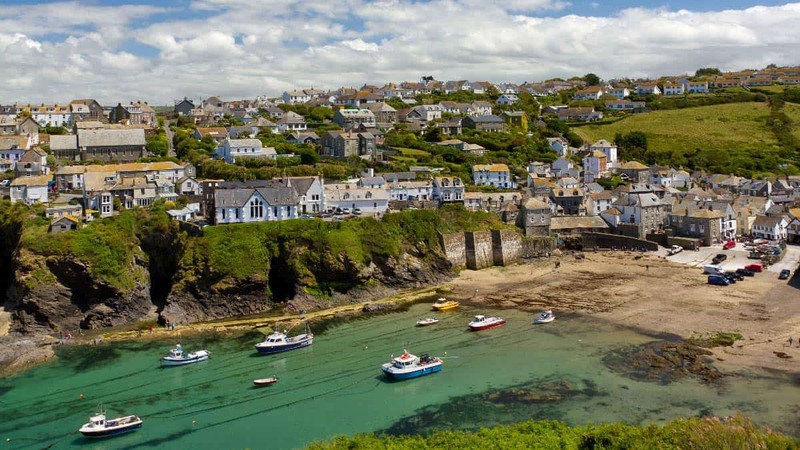 Find your perfect South West holiday cottage here.